« Genius plan to save world by banning *old style* two-stroke lawn mowers, weed whackers, outboard boat motors. Desperate, Turnbull even offered to buy a stake in Liddell (with tax dollars). So the government may have to buy up exactly the kind of project the government has been working to close with RET schemes and clean energy targets. It’s emergency nationalization to repair the damage from the unnecessary, mindboggling government schemes to control weather with power stations. The bandaid on a leech. The Nationals have voted to remove all subsidies for renewable energy providers over a five-year period and to freeze them at their current level for the next year. Renewable energy sources such as wind and solar are set to receive subsidies of up to $2.8 billion a year up to 2030, according to research by economic consultancy BAEeconomics commissioned by the Minerals Council of Australia. “I welcome these signs that we are moving away from a clean energy target to a reliable energy target, and, frankly, nothing less than a 100% reliable energy target will do because we’ve got to keep the lights on all the time … if we are to be a first-world country,” Abbott said. Abbott declared the government should end all subsidies for renewable energy, and that would mean there was no need to subsidise coal. … “I don’t want to see subsidies, I want to see a market”. “…between five and 10 Coalition MPs thinking about crossing the floor and voting against any new or remodelled renewable energy scheme. It should be 50 MP’s. Abbott now argues we are not obliged to abide by the commitments made in the international accord. Abbott said there was no need to walk away from the Paris agreement, because the emissions reductions commitments contained within it were not binding on Australia. The Timetable: The RET scheme must be decided before this summer. MPs concerned about the power bill impact of the policy proposed in a report by Chief Scientist Alan Finkel have been emboldened by last week’s Nationals conference passing a motion opposed to a clean energy target and former prime minister Tony Abbott’s push to wind back renewable energy subsidies. Mr Abbott will double down on his position in delivering a speech, entitled Daring to Doubt, to the London-based Global Warming Policy Foundation on October 9. It is understood the prime minister and Energy Minister Josh Frydenberg are seeking to finalise the design of a new policy by the end of November. But at the moment, whatever the solution is, it’s likely to be a mash of competing demands still swamped by the ridiculous notion that we need to reduce a healthy beneficial gas produced by every plant, fungus, microbe, animal and ocean on the planet in order to change the weather for our great grandchildren. Get over it guys. Forecast wind generation a day ahead? Earlier in the day, the head of the Australian Energy Market Operator, Audrey Zibelman, told a parliamentary committee she favoured the creation of a day-ahead market – a system where the market operator identifies the energy demand for the next day, hour-by-hour, then generators bid in to supply the market. She said a day-ahead market would create more certainty and stability in the system, and also allow tools like demand management to be deployed in the event there was insufficient dispatchability in the system. To make the grid more stable, an official somewhere decided it would help to have at least one day’s warning of how much electricity will flow from those towers. From the section discussing India’s requirements to forecast the next day. There should be no problem with Australia’s climate scientists to meet requirements similar to India’s. Surely if they can measure temperatures every second and predict small changes in the world’s temperature in 2100, then forecasting tomorrow’s temperature at 15 min intervals should be easy as pie. This sounds like a wonderful way for Australia to deal with wind and solar energy companies and organizations. Get rid or RET and demand accurate 15 min forecasts 24 hrs in advance. Moreover, as Australia is a developed country the amounts of the fines for missing the forecasts should be 5 to 10 times what they are in India. I love planning ahead, a dream of Glorious Five Year Planners. My aunt, a doctor, was asked to plan what epidemics would her hospital fight in the next five years. Is some sense finally coming to this debate? I see the suggestion of forecasts to be excellent, it will finally put a fire to the feet of the renewables industry and make them prove that it’s the way to go. Ironically, they will end up looking like the BOM, unable to forecast anything. I believe that the energy crisis debate is ignoring the behind the scenes manipulating and profiteering, and the who’s who of players, governments state and federal, unions that now control one political party and influence another, unions that were recently reported to have billions of dollars in assets and businesses such as Industry Superannuation Funds. When he was Opposition Leader in the early 1990s John Hewson once commented in Federal Parliament that in his opinion the Labor Party was the closest Australia has to the Italian Mafia. Prime Minister Keating immediately left the chamber and did not return to reply to Hewson for some hours. In The Bulletin Magazine in 2006 journalist Max Walsh wrote that the union movement had taken control of the ALP, he referred to a corporate-style takeover with the objective of controlling Australian governments. Union trained executives were installed into safe ALP electorate seats. Labor Party leadership was a union appointment, and right now the leader is a former AWU executive. Unfortunately too many voters have short memories and/or ignore events that they should be up in arms about. For example, that Labor formed government in November 2007 and by 2009/10 the Prime Minister was paid almost twice what the Coalition Prime Minister had been paid. The “independent” Tribunal had granted salary increases for public servants including politicians way above the rate of inflation. The ongoing cost to federal budgets has about doubled since 2007. And related retirement benefits too. During the late 1980s Labor introduced the Superannuation Guarantee Levy forcing employers to contribute 10 per cent of each employees wage or salary (additional to) into a superannuation scheme and Industry Superannuation Funds were established by unions. And this provided the funds to earn fees and profit from and to invest into public company shares and gain access/influence in board rooms. We tend to focus on climate change politics as the source of many problems and squandering of taxpayer’s monies. And it is a major source. But there are those crony capitalists taking advantage of climate change politics, the locals and the foreigners. Consider the Trade Union Royal Commission into governance and corruption established by Prime Minister Abbott and later Prime Minister Turnbull refused to extend the inquiries for another year. Yet the Commissioner had referred a large number of witnesses to federal and state legal agencies for further investigation. Obviously the TURC was getting too close to the truth for the comfort of many people. I have no idea how voters can deal with the situation, but there can be no doubt that it will continue to worsen unless stopped. The only way that it can be addressed is to have a true conservative option; Turnbull and his 50 accomplices have trashed that option. Where we go from here is anyone’s guess. And what will be the catalyst that will jolt sense into people? Bemused, the only option I can think of is for the two alternatives for government (traditionally) not be considered for our primary vote in future. Exercising caution, we need to select a conservative patriot candidate in our electorate, making certain that an “independent” is not a Union Labor plant masquerading as independent, or a recruit like Windsor and Oakeshott were at the 2010 election. Hopefully, and noting that support for the big two has slipped from 80 per cent of votes to 60 per cent of votes in recent years, the next government will be an alliance or coalition of the willing forming a minority alliance government. Until voters shock the would be masters they will continue to treat us with contempt. I won’t be voting Liberal at the next election and I’ll be telling our member just that, even though he was an Abbott supporter. Turnbull has to go, even if it means collateral damage. I might actually let him know well beforehand, to give him and the Liberals something to think about, if it makes any difference. One problem, big problem, if we vote against the good guys we are going to lose valuable members of the next hopefully new alliance government that is formed if the two now alternatives are cut down in numbers. Are you aware that there is now a movement within the Liberal Party of good guys and girls who are trying to overcome the present left leaning lobbyist headquarters dictators and their parliamentary mates? I assume Tony Abbott is one of the leaders as he successfully moved a motion at the recent Liberal Party Conference that selection of candidates for elections be returned to electorate branch members to decide. As it used to be before the takeover at HQ. The motion was passed, according to media reports, by close to two to one in favour. If that is the case, it will be interesting to see the outcome. Unfortunately, there may be political electoral collatoral damage if a few of the good ones are voted out at the next election along with the bad….it cant be helped. Better to take a bit of extra good skin around a tumour, to make sure you get it all…. Same situation in Brazil, where folks are forced at gunpoint to cast votes for 32 subsidized looter parties–the Libertarian party being denied ballot access. Only 1/9 of humanity lives South of the Equator. That ninth wishes it had freon refrigerators, power reactors, oil and gas wells… and political and economic freedom from coercion! Brilliant idea that voting at gunpoint. It’s imported from the free, First World Dominion of Australia! Ha, ha, ha oh so good! The greenie CAGWatoloists will have to start making blood sacrifices!! Brilliant absolutely a cracker . we will see the proverbial s..t hit the fan. Whilst I think that not walking way from the Paris agreement is easy because it’s not binding anyway and no ones going to stick to it for the sake of shining a light on this global boondoggle of a scam Australia should officially exit it. Whilst we account for a tiny amount of global emissions we are seen as a key battleground in the whole argument . We have probably more clear diverse opinions with the original 97% consensus invented here as well as some of the most ardent sceptical critics. South Australia has been a template for other countries in terms of what attempting to meet your commitments looks like so giving up would be a huge message to the rest of the world. That being said I would welcome any steps in the right direction from the Liberals because voters actually need a choice on this matter. Cheap reliable or expensive and intermittent .What will we vote for? Too little too late? Mini revolt or mini panic? I’m looking forward to the ABC’s interpretation if something tangible actually emanates from these prognostications. Power demand is constant. Generation by renewables is intermittent. Just how do the greenies expect to resolve a bridge between those very different realities? Lots of used Duracell batteries. glad we didn’t have to = Liddell’s current back up capacity 12 – 16 weeks stockpiled in their yard!! and we didn’t actually cost to provide the 4,000 MW of name plate unreliable power yet!! that might last 12 – 15 years, Liddell is + 50 years and they are wanting + 60 years!! AND, we didn’t work out how we could supply the grid while we recharged batteries when we had 3 or 4 days of cloudy windless days!! Hmm … their “Demand Management” system may be good for that – I interpret that double speak for “When demand gets too high we CUT YOUR POWER so we don’t have a BLACKOUT” but, but wait, doesn’t that give me a blackout? I don’t understand? They have no problem with intermittent. They do have issues with reality. Former Treasurer Peter Costello was quoted in The Weekend Australia a few years ago, he had just returned from a visit to Germany where he met a former German Minister for Foreign Affairs who is a Green. Costello would not tell the journalist here all of his conversation and subjects covered but did say that the German Green described Australian Greens are way out to to left of international Greens. I despise the Australian Communist Party, even after they changed their name to The Greens. In business there is a conceot of ” share the pain” whereby those who propose or mandate an idea that equates to rank stupidity, have impkemented against soubd advice so that it will quite natually fail. Then those who proposed said stupudity are gently pointed out to the mob at the doir with pitch forkd and flaming torches so they can, you guessed it, share the pain…. Children and stupid adults need to feel the full force of ill considered actions so that they may correct their behaviour. “4 Do not answer a fool according to his folly, or you yourself will be just like him. 7 Like the useless legs of one who is lame is a proverb in the mouth of a fool. 8 Like tying a stone in a sling is the giving of honor to a fool. I still think the best answer is to not elect anyone from the main polutical parties. My suggestion is true democracy in action, accepting that the 3 main political parties are actually simultaneously *toxic* to Australia and taking decisive action. That’s how I am thinking. Steve I’m backtracking on ‘informal voting’, finally able to vote for the Nats again. I think keeping the blowtorch on them,namely the very real threat of electoral oblivion for the main 3 parties if they dont fix the power problend, is the best way to fix this. Barnaby came off looking pretty good on the 7:30 Report . . . . . a game changer? Still trying to work out how I can do that in Qld. I resigned from the LNP because of Turnbull but up here they amalgamated so I can’t just join the Nats even if I wanted to. Oh well, I’ll just have to fling some dollars at Corey. We caught that interview by sheer chance while ‘in passing’ to watch a DVD. I hope he keeps it up. It was good to see Leigh Sales put back in her box. AGL is taking a huge gamble that the future of its company will be in harvesting subsidies in a highly regulated market and also selling hugely expensive power from peaking plant to make up for the deficiencies in its unreliables rather than doing the normal thing that is done in a free market (if we had one) of producing the most inexpensive and best product i.e. coal, gas, hydro or nuclear electricity). Agreed, with the belief that it is based on wishful thinking that the situation won’t change. Change it will so the rise in their share price may soon be reversed. One guess as to who will have left, with a (huge) golden handshake, before that happens?? You mean the insider trader who sold the bulk of his shares recently as the energy crisis boiled over and the government was forced into taking action. AGL are ahead of the bunch in benefiting from the RET but they have not thought it through to the logical conclusion. Realistically 30% wind solar market share is near the limit. At that stage there is massive grid defection. SA got to 39% in 2016 but they did not realise they had created an unreliable system. The 1600MW of wind generation is now capped at 1200MW, lowering the capacity factor. A requirement to forecast a day ahead will seriously further erode the capacity factor and maybe income if the LGC price does not respond sufficiently. They also effectively had a 600MW battery of infinite capacity connected via the Victorian link and the generating capacity of Hazelwood. As Victoria increases wind generation, that will further lower the SA wind capacity factor. If the CSP works it should improve solar market share but at the expense of wind. The CSP, the BB battery, diesel fuelled turbines and support to existing gas plants all adds to the grid cost and encourages more self generation so the demand pie is reduced, which further lowers capacity factor. SA may actually get above 30% market share again but the size of the market is already reducing. If the wind and solar share Australia wide reaches 30% the NEM will have no value. Any household or business with space for wind and/or solar plus battery will be able to produce power at lower cost than buying from the grid. AGL will enjoy the benefits of the high prices and subsidies for a decade or so but the demand will fall as those who can leave the grid do and this who cannot are on government support or suffer forced disconnection. Most heavy industry in Australia is already on some form of government support. Germany hit the wall in 2016 with 29.5% unrenewable generation. Germany is similar to SA with ability to import and export electricity from other countries that have much lower unrenewable market share. Governments backing this illusion have wasted substantial economic resources. Way too much too soon. There are huge gaps in the technology that need to be resolved. On the other hand there are jurisdictions where wind and/or solar on the grid offer economic advantage at some level of market share. So if thew BOM forecast is wrong (perish the thought) The wind farm operators get fined. That sounds fair. Maybe the chicken coming home to roost. I’d much rather see a “week-ahead” supply estimates. Then why did he sign us up for Paris? The Paris Agreement was signed by the Turnbull led Coalition. Because Tony could be a bona fide globalist stalking horse, part of the bigger game to make people believe there was a true joker in the deck, but he in realty he may be working *with* Turncoat and a very good actor. If that is the case, it shows how deep the globalists control both sides of the “fight”…they are masters at it. If you can control both sides of the fight, you can get the fight to wind up exactly where you want it. The globalist are organisations like AGL. Tony is not working with Talcum because he wants his old job back, but that may not eventuate because of the factions. More likely Peter Dutton would get the nod when the PM falls on his sword, with Tony getting the pick of any ministry he fancies. Abbott is Rhodes Scholar. That alone raised red flags for me years ago. All one has to do is research the ideology behind the Rhodes Scholarship and the ideals of Cecil Rhodes. In a nut shell, to bring the world under British Rule and recapture the USA and return it to British Rule. Jo’s statement that the “bandaid is a leech” is right on target. In a recent thread we were able to quantify the cost of the subsidy given to wind and solar, hidden in the fine print, and the next step would have been to extrapolate electricity costs from the current 5% of total usage to say 50%. That exercise would be very very interesting and show that increasing the percentage of renewables would be financially unsustainable. Of course what makes the CAGW and renewable power scams possible is the blatant lying about relatively costs for different forms of power generation in the media. Surely we need standards in our public life that see blatant “misinformation” dealt with in proportion to the harm caused. Perhaps “it’s time” we sent a message to our political class that it’s time to change from being a group which reacts to hourly opinion poles and instead gets on with working to the financial and engineering facts. As Steve says we must boycott the main parties and install anybody else until sanity returns to elected government. The problem with this idea though, is that voters must first be able to see the problem and at the moment the media has totalitarian control of public perception. Just look at the performance of our PM over the last two years. All is going very well for him and his supporters but WE, the great unwashed, are essentially back to electrically induced slavery. Many sections of the MSM have been got at, it started when Prime Minister Rudd diverted his RAAF VIP flight to Broome WA and spent time with a senior broadcasting industry director, and soon after Rudd returned to Canberra the Labor Government announced broadcasting licence fee cut worth $250 million a year shared between all licence holders. That was ten years ago !!! The manipulating is breathtaking, and right before our eyes, if we cared to observe. How much influence, support and muddying of the waters could you buy with that sort of cash? Silence of the media, as we are finding out. can you simply list the approximate national pre-subsidy costs for all types of power in a few lines so we can refer to something accurate? The other comments may give you more info because my estimate works on total power bills which include electricity plus distribution costs and profits. “After reading items by ROM, Greame 3 and Tony I started fiddling, this came out of it. Here’s a “what if” relating to the integration by stealth of the Renewables Support Programme. Without having gone into this too deeply and acknowledging Tony’s deep and intimate knowledge of this area, I offer this as a slightly different perspective using some very rough figures. First, it seems that about 95% of electrical power in Australia comes from coal or gas fired plants. Second, the renewables, or unrenwables as some have named them, produce about 5% of the used power but get paid for about 10%. HELE plants would cost about $76 per MWh, if we had them,. This covers 95% of the total residential power used. So the cost is $88.09 instead of the potential $76.00 from HELE only. So there is an extra charge of $12.09 per MWh. or a 15.9% scam bonus. My electricity bill is say $1,600 per annum for 2 people or about $800 pa pp. This of course, includes network charges. There being 23 million people in our country at about $800 per head means that our annual residential electricity bill is 18.4 Billion Dollars. But of that amount the scam bonus is 15.9% or $ 2.93 Billion and spread over the 23 million is $127 pp pa. Benefit to the public Nil. Please, please don't call this "waste" as someone has our money and is putting it to good use; for them. This money has been misappropriated . It may even help pay for a new jetty on the Sydney harbour foreshore, indirectly of course. All of this is only residential power and industry and small business provide their own contributions to the rip off. This is very rough but I hope it goes some way to highlighting the abuse of our basics services by people in positions of TRUST." It’s closer to 80% comes from coal and gas. About 10% comes from hydro-power and other 10% is a mix of solar, diesel and wind. Flannery power, wave and tide power account for the remaining 0%. There are two parts to the electricity fleecing. First the very obvious cost of power as used and then the delivery costs which include network costs, management and profits. In both areas we are being had. The Gold plating of posts and wires is another area of super profit: buy the company cheap and then add capacity and bring maintenance up to date all paid for, in short time, by the poor consumer. The, having spent none of your own money, sell the now much more valuable business for the super profit. This whole schamozell, billions $ – sheer waste – comes down to the greenhouse horses#*t.
The answer is really quite simple. The RET subsidies paid to renewables are way too high, to the point of threatening our coal baseload power supply, the cheapest component. Just reduce the RET subsidies by about half. Power bills will fall across the nation, and existing, spinning base load generation will be preserved. All will win. Oh, except the renewables industry, but they knew they all along their business are based on subsidies. Why reduce them by half? Get rid of them altogether. As I keep saying, there is nothing so persuasive as when the lights go out regularly. The politicians better look after their scalps then. Don’t worry too much about their scalps. I’m sure they’ll all look and work much better without them. The Australian power crisis now has a life and momentum of its own but completely absent from public discourse is discussion about the invalidity of the hypothesis of anthropogenic global warming which caused the problem in the first place. At least, that was one of the two weapons chosen by the global elites to destroy Western economies, the other being the mass importation into civilised countries of some of the world’s most uneducated, unassimilable and violent people. Have you ever sat down with a ["person of any faith"*] to explains the errors of their belief! There is no point arguing over a religious belief. There is much higher chance of getting attention when their hip pocket nerve is tweaked on a monthly basis and they are asked/forced to turn off the air conditioner on a blistering hot day. The important aspect is to reinforce the connection between wind and solar market share and high electricity prices. SA and Germany are the outstanding examples. Fewer than 25% of the population have made the connection. There is a lot of muddy water. Some view the increase in gas export as the major cause by forcing up domestic gas prices. Some view uncompetitive practices as the prime cause and are easily persuaded that companies like AGL are price gouging. Some view the sale of State generating and transmission assets as the major cause, opening the way for profit driven motives to outweigh common good. There is a widely held belief that the LCoE figures quoted for wind and solar can be related to a power supply system. Essentially the quoted LCoEs rely on the grid being a big battery having infinite storage capacity. 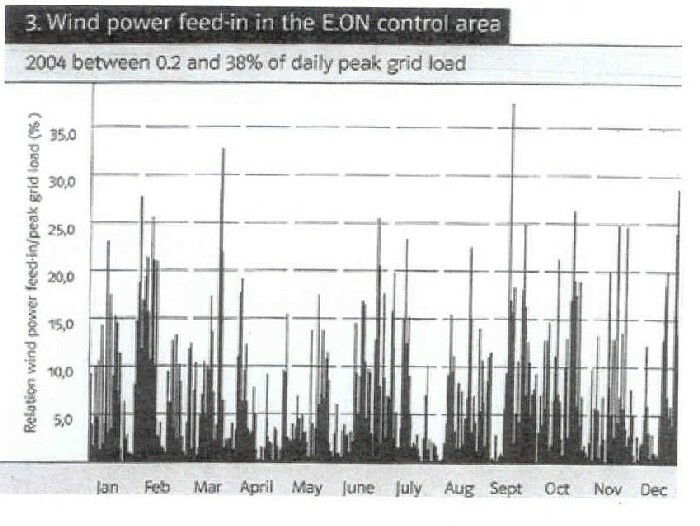 If wind and solar generation are forced to provide an accurate forward dispatch schedule they will all be knackered. This is the point that needs to be understood – it is at the core of the belief that wind and solar have economic merit attached to any grid. There is one benefit to the grid eventually collapsing, that is the people who make up the greenist nonsense will eventually perish as they are clearly incabable of logical thought and will probably die from something avoidable and basic like lack of sanitation ( but obvious to those of us who actually live in the real world ). Those of us who actually understand whats what will stand a much better chance of surviving and thriving afterward. Trying and go a long distance in an electric shopping trolley, vs a diesel 4×4…no comparison. Think of it as slow burn Darwin Awards in action, where stupidity is its own reward and the foolish are weeded out by their own actions….. The job would be made easier by having a proper inquiry into BOM and the CSIRO , any University that takes Govt money should also be investigated and media laws changed so opinions don’t get coverage unless labeled clearly as such . Fine media companies $1 million for any breach and bring in some truth in journalism so any article that is not researched and not truthful also incurs the fine . And unions should be required to provide transparency for their members and the public by producing audited accounts and reporting as listed public companies do for shareholders and generally. And unions should pay tax on profits excluding membership fees maybe. Former Prime Minister Tony Abbott has been quoted today for his comment that we do not need a renewable energy target, we need a reliable energy target. Dennis I don’t think it matters who holds top dog position in the Liberal party , because ultimately it’s the backroom that has the say and therefore the actual leader is hamstrung as to any policy they want to introduce . Given the Abbott era stuff ups with awarding prince Charles and a couple of other idiotic Abbott moments some backroom or party interference is needed but while they are so dysfunctional they are unelectable. Australia can’t afford to have a Labor / Green govt and the Libs are unelectable which means the next election we have the choice on who we hate the least or protest vote and give the independents a big balance of power . Personally I like the latter choice and will be giving one nation the vote because they are the only party that are singing from the same song sheet. I like that choice too Robert, but to succeed in forming a minority alliance government the good guys from the Liberal side would be needed and their experience too. Agree totally Dennis only who are the good guys and don’t they always come last . Is it possible in a practical sense to reopen Hazelwood? At the time of closure, I recall, TonyfromOz gave some financial numbers regarding restarting the plant. They were very big indeed. Importantly, do they hold good at this time? And how long would it take to refurbish for production of electricity? Or is Hazelwood only good for the South Australian solution—blowing up? Hazelwood is in the process of demolition and the associated coal mine is being “remediated”. There was no attempt to mothball it. Most of the tropical fish in the cooling pond have died. The CAGW Carpetbaggers will not be happy at this trend of renewable to reliable in Canberran thinking. A reliability Criteria would wipe out all those wind-turbines in becalmed periods and solar generators at night. they received $734,674 in ‘income’ from large renewable energy certificates via the RET scheme, vs real income of $437,210 from selling their renewable electricity to the grid. The $734,674 is a subsidy forcibly taken from retailers, who must add this cost to the price charged to consumers, as well as giving preference to ‘renewable’ power over base load. This $734,674 represents a huge, hidden subsidy of 168% of every dollar of renewable electricity sold by this Cooperative, and to my knowledge nothing like this level of subsidy is available to any other Australian industry. If this subsidy was removed, this wind farm would barely break even and would probably have to close, as would most other ‘renewable’ generators. This level of subsidy is clearly unsustainable in itself. On the other hand, coal-fired base load and gas-fired spinning reserve (non-renewable) generators get no such subsidy, AND have to shut down their output when AEMO says they must, i.e. when there is more wind and solar power available than is needed, thereby suffering financial losses and eventual insolvency. The RET is clearly designed to have this pernicious effect, and is therefore clearly against the national interest of having an affordable and reliable national electrical power system. How is it even in accordance with the Constitution (e.g. Section 51 (xxxi), Section 55)? Why is there not general outrage against this scandalous and treacherous RET? Voters are just blindsided by the media and don’t have any clue about what’s going on. You can’t blame voters but this situation highlights the need for accountability in government. …need for accountability in government . I find it almost impossible to agree with Sam Newman. However, in this instance he is correct: “This country is r*oted”. As someone who has written extensively on climate change for a decade, my view is that all of this is madness. We are entering into dangerous territory, a fundamental attack on free speech. Extraordinary but at least this is being aired publicly. As the writer says, it needs to be even handed in its investigations and prosecute all those pumping out false, unsubstantiated claims. Excellent – now anyone who lives outsdie of canada can write stuff that is actual science, to torment the canadian warmists…..unless the canaadian govt actually blocks access to that sort of material in which case you might as well build an iron curtain around canada and let it rot. Canadians are a tough bunch – I’d love to see someone trying to stop a rancher from using wood to heat his homestead….it would be a short argument…. the head of the Australian Energy Market Operator, Audrey Zibelman, told a parliamentary committee she favoured the creation of a day-ahead market – a system where the market operator identifies the energy demand for the next day, hour-by-hour, then generators bid in to supply the market. WTF??? That is the way the AEMO operates already except that the “semi-scheduled” renewables (hydro aside) are allowed to bypass the merit order set by bids from traditional generators. All the AEMO needs to do is remove the “semi-scheduled” classifications from renewables and make them operate under the same rules as the other generators. What sort of CEO is Ms Zibelman to be proposing rubbish like this? Read the following to see how the AEMO and other electricity markets were designed to operate with dispatchable generation and how allowing renewables to simply barge in whenever they can generate disrupts the economics. The only problem with this article is that the author has a “green” bias and downplays the effect of the renewables being allows to bypass the merit order. How is this different to what Ms Zibelman wants to create? “It’s gonna be easy to establish a (Green) dictatorship in Australia – just claim that the pop party is hateful and that elections are traumatising. Great posting Jo. Keep up the pressure and the good work. Since ‘Chief Scientist’ Alan Finkel claims to be the scientific expert on such matters can he please explain his reasons for his obvious stance in wanting to reduce CO2, a beneficial trace gas. We,the taxpayers demand that he shows us the SCIENTIFIC EVIDENCE to support such a stance. So far all we have heard from the warmists is theory, conjecture and forecasts based on dodgy computer models, but no real scientific evidence. Mr Finkel, please show us the scientific evidence! As one who advises the government on policies with huge financial implications he has a duty to explain the evidence behind the advice. Just quoting the IPCC or other so-called authorities will not be accepted by any thinking Australian. We want to see the scientific evidence. On a pure engineering basis, a life extension should be possible but that assumes that the existing equipment has been maintained according to the stated schedules. Many of our coal plants have been bought and run on the basis that they would be retired in due course so minimal maintenance has been performed to maximise the returns. Have a look at this article about the state of the Liddell power station. I wouldn’t normally trust Peter Hannam to report accurately but 2 nights ago, I coincidentally discussed this situation with an engineer who formerly worked at the plant and keeps in touch with the current staff. His assessment is that AGL has done a stellar job running down Liddell to its scheduled 2022 closure. In fact he has grave doubts as to whether all the units will still be operational by then. Invest in generators and jerry cans people. The lights are certain to go out in South Australia at some stage this summer and there is a good chance of NSW and even Victoria being blacked out at some point. Yet another reason why we should be building several new generation coal fired power stations ASAP. Those in power and those to be in power have already been given lots of warnings. Added to this the fact other countries are building coal fired power stations like there is no tomorrow. The situation is critical and clear for anyone with the brain power at least that of a rodent. If our leaders and champions of industry do not fall into line with the rest of the world and start building new generation coal fired power stations then for whatever reason they are letting Australia collapse and cease to be a viable place for investment, industries and hence employment. One then has to ask the question why are they not scared of the repercussions on themselves later on if and when things go really pear shaped? It surely can’t be because they have not been given sufficient information. Enough of it is around to convince anyone with some semblance of intelligence that we have hit a critical juncture. The ball in now in their court and time is fast running out. Keep in mind that Liddell is now 44 years old, with a Nameplate of 2000MW, not 1000MW as is now being said many times on the ABC, mostly by Matt Wordsworth. ….. Market Operator, Audrey Zibelman, told a parliamentary committee she favoured the creation of a day-ahead market – a system where the market operator identifies the energy demand for the next day, hour-by-hour, then generators bid in to supply the market. So then, let’s pretend that it is already in place then, shall we, say right now, today. John – Gidday Bill, John here from the AEMO after your figures for tomorrow, okay? Bill – Okay John go ahead. Bill – Well, you know Unit Two is still down for maintenance, so let’s see, 4AM to 6AM, that’s 750MW. 6AM to 10AM, that’s 900MW. 10AM to 4PM, that’s 800MW. 4PM to 8PM, that’s 1150MW. 8PM to Midnight, that’s 1050MW. John – Thanks. Okay then. Macarthur Wind. Bill – Umm, same response as yesterday. John – Right. No idea eh! John – Okay then, how about Broken Hill Solar. Bill – Same response as yesterday for that too. I’ve just picked out these three for example, as AGL also owns Loy Yang, and Bayswater, and some other gas fired plants, all of them with firm data, and a number of other renewables, all of them with what could only be referred to as guesswork. I posted above that the creation of a day ahead demand forecast doesn’t change a thing. A generator can either guarantee to provide power at a certain time or it cannot. If it cannot, then it is basically irrelevant in terms of fulfilling the forecast requirement as it cannot fulfill a contractual bid. All it takes for the market to work (as it used to) is for all generators to play by the existing rules with no special exemptions for renewables. Demand forecasts can only help planning for load shedding if bids fall short of expected demand at some time interval. And this already takes place so WTF is Audrey Zibelman proposing?? Chris Horner, a senior fellow with the Competitive Enterprise Institute, says the Ninth Circuit’s ruling could signal an end to the lawsuit. Juliana v. United States was brought by 21 young plaintiffs, and Earth Guardians, who argue that their constitutional and public trust rights are being violated by the government’s creation of climate danger. The case is one of many related legal actions brought by youth in several states and countries, all supported by Our Children’s Trust, seeking science-based action by governments to stabilize the climate system. Counsel for youth plaintiffs include Philip L. Gregory, Esq. of Cotchett, Pitre & McCarthy of Burlingame, CA, Daniel M. Galpern Esq. and Julia Olson, Esq. of Eugene, OR. From what I’ve seen, the USA seems to have its share of “activist” judges….whether that is the case here I dont know…. Exxon Mobil Corp.’s attempt to use “accountant-client privilege” to avoid handing over audit documents in a politically charged climate-change probe was dealt a final blow by New York’s top court. Exxon argues the investigations by the two Democratic attorneys general were politically motivated, and that the states had conspired with environmentalists to reach a conclusion about the company’s actions before the probe had begun. The dispute is heating up as Republicans in Washington consider their next step after Schneiderman said in February he’d ignore a subpoena issued in a related congressional probe by the House Committee on Science, Space, and Technology, which also seeks to derail his investigation. Researchers at the George Washington University (GW) have identified that the number of federal and state climate lawsuits has been growing since 2006 in the most extensive study to date on the nature and impact of judicial resolutions of legal actions related to climate change. This first-of-a-kind analysis shows that air pollution and coal-fired power plants were the subject of the majority of the studied cases and 58 percent of all of the cases were won by litigants opposed to government regulation. The analysis also shows that pro-regulation plaintiffs won more than twice as frequently in cases involving renewable energy and energy efficiency. McCormick has been studying the impacts of climate change on human health for over a decade. Her experience includes serving as the lead author on the Special Assessment of the Nobel Prize-winning Intergovernmental Panel on Climate Change. “Science in litigation, the third branch of U.S. Climate Policy” will appear online September 7 and in the September 8 journal Science. Selling renewables is like selling soap. Just fix it. Let me know when you’re finished! Starring the Washer-repairman as the ‘climate scientist’, the washing machine as the environment, and the soap as the renewables. Any sane person would be considering AGL’s, LNP’s, ALP’s and Green’s inaction on securing our future base load needs as a deliberate strategy to demolish Australia’s industry and economy, either by negligence or design. There is no other conclusion one can one come to given they are all headed by adults with much experience and knowledge. We are not talking about children here. These are fully fledged adults holding extremely powerful and important positions. Consequently, if and when things do go really pear shaped they should be charged with some offense and held to account, ideally with the prospect of prison sentences. Anything less would be a disgrace of momentous proportions. The sad history of Australian politics is that more escape penalty than do. Covering up is widespread, even shutting down police investigations. I am not suggesting that all politicians are corrupt, far from it, but we all know the names of suspects and have even read documentary evidence on line in one example of a person who held high office. Does anyone reading here know if the Warren Standard at University of WA is the Author of the book Controlling Climate? Sorry, people. Nobody is this obtuse. Certainly not celebrity logger, Goanna defender and conqueror of Brendan Nelson, Malcom Turnbull. One explanation is the only sensible one: Big Green is a major plank in a globalist, neo-Marxist conspiracy. The people I used to deride as potty have been right all along. Apologies to them. I think you underestimate the extent of corruption in our society in general and government in particular. We all know the climate thing is just a scam to shovel taxpayer cash to the real rulers of Australia; but who is going to do anything about it? The castrati cucks who claim to be our elected representatives could all go home tomorrow, never to return. Who would notice? The tragedy is that this corruption is now the norm worldwide. Note that Hillary is not yet in jail. The reality is that we are mirroring the fall of Rome. Our death spiral is well advanced; there is no pulling out. I don’t agree with this mindset. There is a lot of talk that the accord was just symbolic. And the idea that you don’t need to walk away from it, you somehow can pretend but not do, doesn’t make sense. If you are not going to attempt it, dump it. The more countries that do helps weaken the next attempt. I think every nation that struggles to have their economy keeping their people employed due to this accord should walk away now, not just ignore it. The next COP() will have less teeth to work with if they do. The damn thing was written by lawyers and politicians, there is more to it that meets the eye I am sure. If there wasn’t, or it wasn’t needed as a launching pad for the next COP(), there would ne no protest of Trump walking away. Just remember, the emissions commitment may be symbolic, but are you sure the monetary commitments are as well?